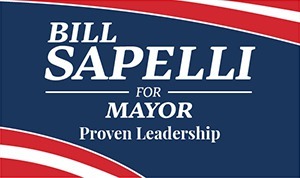 Sapelli held his official campaign launch party on Thursday, July 13, at Oak Ridge Golf Club, 850 South Westfield St., Feeding Hills. Sapelli is holding a campaign launch party from 6–8 p.m. Thursday, July 13, at Oak Ridge Golf Club, 850 South Westfield St., Feeding Hills. The event will feature hors d’oeuvres and a cash bar.